The following article appeared in "The Eagle Philatelist" (Kansas City, Kansas) for July 1892. It is interesting because it describes a critical early controversy which occurred in the philatelic community: the rift between beginning collectors, who tended to be non-discriminating generalists, and more advanced collectors, whose hobby had evolved toward more specialized collecting. The distinction between the two types of collectors is still relevant today, although the "controversy" no longer exists. The vast majority of stamp collectors in the world fall into the first type ("generalist beginners") while those who have become more advanced tend to specialize. Philatelists who have pursued our hobby for thirty years or more will possibly remember the famous controversy occasioned by the introduction of the French School of Philately. For the benefit of the younger element, I will give a brief account of the controversy and the principles advocated by the debaters on both sides. 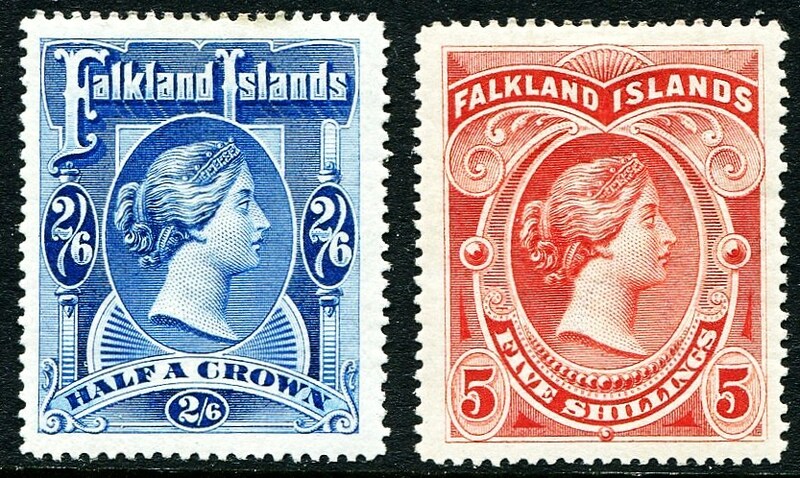 The young collector will first be contented with the many types to be found, but as his collection becomes larger, he will find minute varieties, some stamps being exactly of the same type but may differ in the shade, the quality of the paper, the watermark, or may exist with or without perforations. 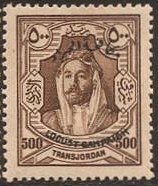 Then again in some countries he may find that on a sheet of fifty or more apparently similar stamps there may be fifty or more varieties because of some minute difference in the types, due to inaccuracy in the engraving. If the collector has an abundance of the “useful,” he will usually purchase such minute varieties, often at a very high price. If he pursues this course he is said to belong to the French School of Philately, because the Parisian Stamp Collectors adopted this method as early as 1862. Their principle was “specialism and completeness, every variety and every specimen.” The collectors who disagreed with the French School were termed the Common School of Philately. 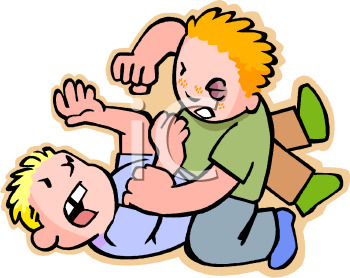 Many were the arguments in the debates between the two schools, and at last things came to such a stand that the members of the French School were accused of being afflicted with soft spots on their craniums, and the collectors of the Common School adjudged by their opponents as being of the “small boy” class. “Let the long contention cease. 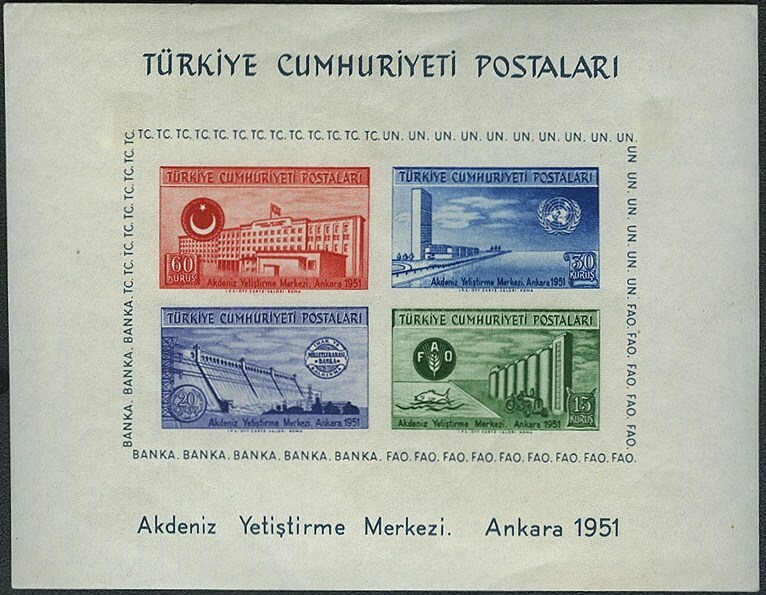 Many collectors may regard this controversy as being of no importance but I believe it was the cornerstone of philately. And why? Well, had the Common School triumphed there would have been very few scientific collectors and certainly very poor, if any, philatelic literature of a scientific nature, and collectors would rarely, if ever, have become acquainted with each other had there been no stamp journals. The collectors of the French School, while they knew there were more varieties issued than they could secure, took to a sort of specializing, the result of which lead to scientific collecting, which has laid the foundation of philately. 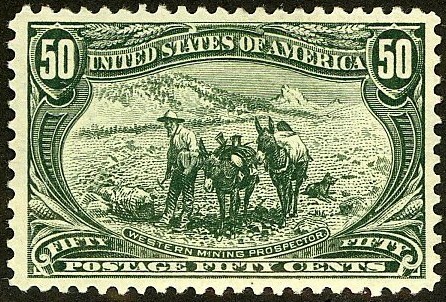 In the United States today there are many who do not take into consideration the qualities of the stamps. 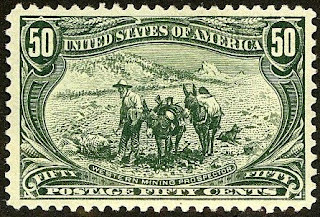 For instance, how many collectors concern themselves about the sizes of the grille in the embossed stamps of the U.S.? 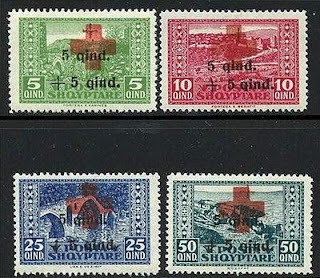 In revenue stamps, how many make a distinction between perforated and unperforated stamps or the quality of the paper? 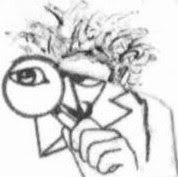 In U.S. envelope stamps, how many collect the various sized entire envelopes according to the Hornerian method? Very few indeed, but the few they are, are collectors according to the French School. They are scientific collectors - philatelists. The many who do not collect thus are collectors of the Common School. They are non-scientific collectors - stamp collectors. In 1939, the Canal Zone issued a set of six airmails picturing scenes of Pan American Clipper planes flying over the Panama Canal (Scott #C15-20). The set commemorated the 10th Anniversary of C.Z. 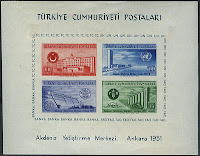 airmail service, and the 25th Anniversary of the opening of the Panama Canal. 40,051 sets were issued, but these were in use for less than 2 years, as the sets were withdrawn in early 1941, and the remainders destroyed. Scott '13 prices the unused set at $ 86.00 . In 1937, the Dominican Republic issued a set of eight airmail stamps honoring Columbus, and celebrating its goodwill flight to all of the countries of the Americas by the planes "Colon", "Nina", "Pinta", and "Santa Maria" (Scott #C24-31). 20,000 sets were issued, and Scott '13 prices the unused set at $28.55. In all likelihood, most of these stamps were used as postage and discarded, which explains why one doesn't run across them very frequently. They're probably several times scarcer than the U.S. Graf Zeppelin set, and with far better prospects of climbing much higher than their current levels. 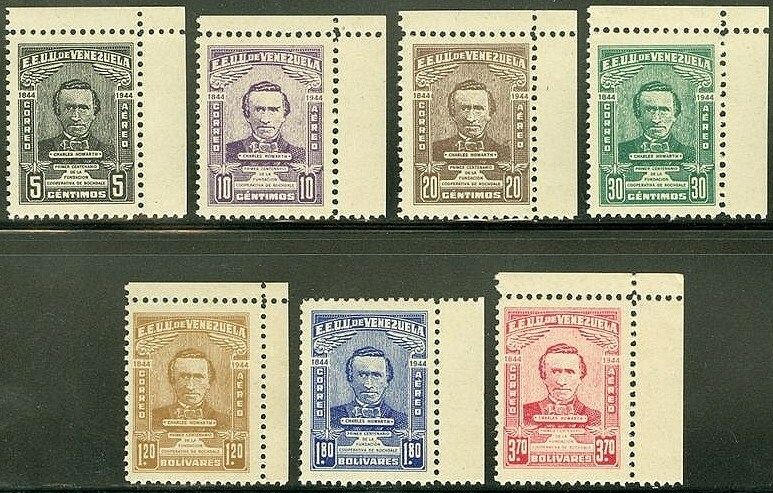 While it may take some time for a significant stamp collecting population to develop among Dominicans, the upside to investing in Latin American stamps is that there is a tendency among collectors to focus on the region as a whole. In 1944, Venezuela issued a set of seven airmails commemorating the centennial of the first cooperative shop in Rochdale, England by Charles Howarth (Scott #C199-205). Howarth was famous as a reformer and labor organizer. 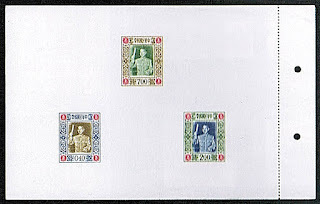 15,000 sets were issued, and Scott '12 prices the unused set at $10.80 ($18.- for NH). Many were probably used as postage and discarded.